You can follow the previous nine commandments religiously, however if you fail to follow up, you are wasting your time! A handwritten note. A handwritten note is a blast from the past, something that very few people do anymore, and the impact is amazing. When was the last time you received a handwritten note from a person you met when networking? There is a disadvantage to a handwritten note when following up, as is it is rarely a form of two way communication; you may still need to follow up with a call or email. However the person you met would prefer to be followed up with! One of the questions you may want to ask when networking is how the person you are networking with would prefer to receive communication from you. Many people are familiar with the Golden Rule, “Treat others the way you want to be treated.” The problem with the Golden Rule is that not everyone wants to be treated the same way you do. We recommend utilizing the Platinum Rule, “Treat others the way THEY want to be treated”. By adapting to her preference, you will increase your referrability. 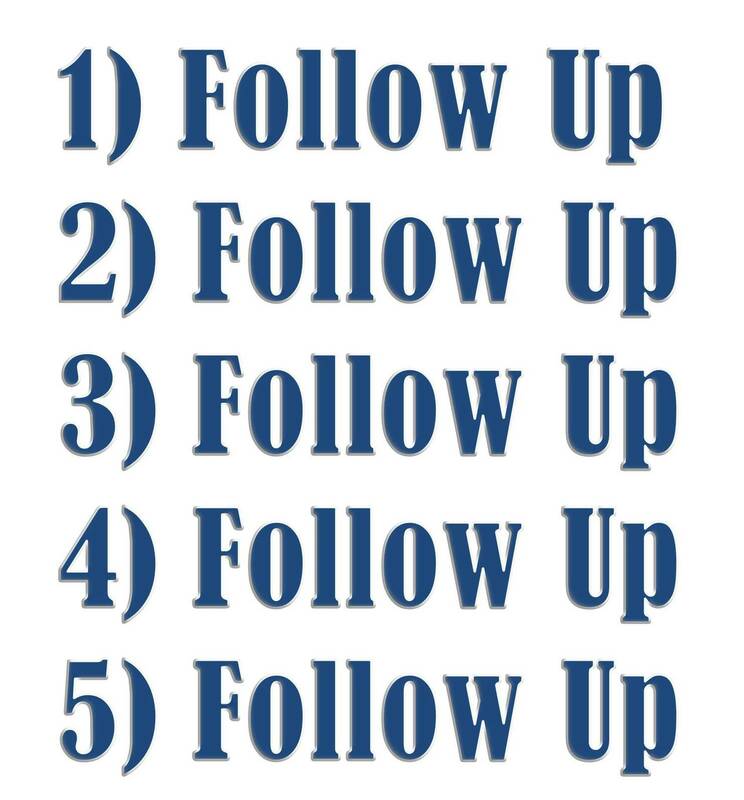 Regardless of which follow up technique you choose, the main point is to FOLLOW UP! Which way will you choose to follow up? Posted by Tiffanie Kellog on 06/20/2014 in BNI help, Business, Networking, Referral Institute. I follow up with email. I like what you said above though. I need to start asking each person what is the best way to follow up.